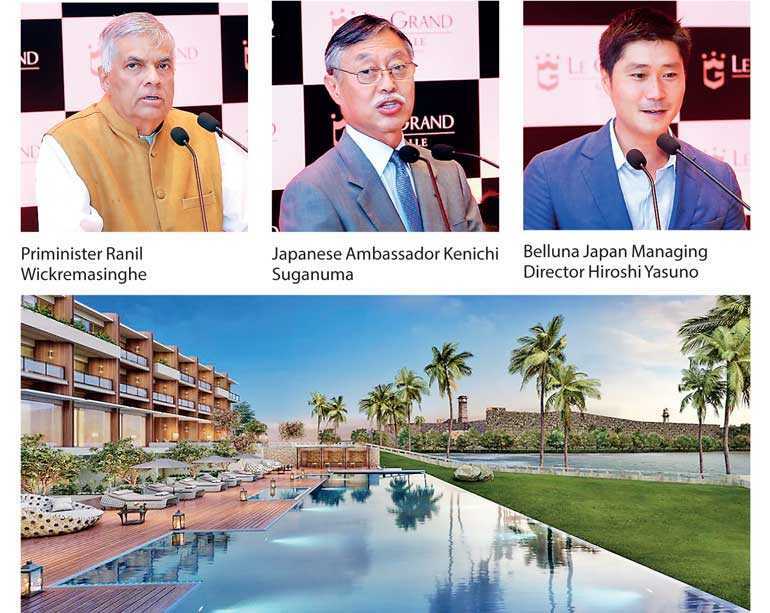 In keeping with its vision to offer exclusive leisure properties at key selected destinations, Asia Leisure, in partnership with Belluna Co. Ltd., Japan opened its sixth leisure property ‘Le Grand’ in Galle on 31 July. With its attractive setting and offerings, the urban resort and lifestyle destination will cater to a variety of travellers. Le Grand is a synonymous leisure/hospitality name in Japan and with properties developed by Belluna such as Le Grand Karuizawa Hotel & Resort and Le Grand Kyu Karuizawa and based on the success of these properties, this latest property by Asia Leisure and Belluna will Co. Ltd. will bring forth the same brand legacy. Many of the hotel’s guestrooms and suites have spellbinding views of the Indian Ocean and UNESCO World Heritage site Galle Fort, with the suites that include the plunge pool even being named after the Bastions of the Fort – ranging from the 45-square-metre Deluxe Sea View Room to the elegantly styled Plunge pool Suite offering 146 square metres of luxurious living space. The Sitting Room offers the greatest views of the entire hotel with a spacious open-air poolside terrace that provides a tranquil retreat from the urban lifestyle.